Yesterday, our team of Event Managers and office staff headed to Manchester to celebrate the festive season and a successful start for Get Staffed UK. 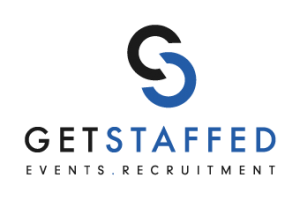 As a start-up, we love getting to know all of our team and making sure that they feel part of the Get Staffed Family. We took the opportunity to tell our Event Managers all about our plans for the New Year and thank them for being part of our journey so far. ‘After a record breaking weekend, we want to say thank you for all your hard work and give something back to you guys’ Tom Havlin, Managing Director continued ‘we wouldn’t be where we are today without your support whether that’s going from one shift straight to another, connecting us with your friends or sharing our posts online, we’re very happy that you’ll be with us on the next stage of our journey’. We spent some time at Media City going through our brand and how the company will change going forward and what that means for the team! Then we decided it was time for some team building and we headed over to Dog Bowl for 2 rounds of bowling (and a few drinks). We played lane against lane and we were really happy with how involved (cough competitive) everyone got and how much they cheered each other on, working in teams is certainly something our Event Managers are good at. Next, we uber’d over to The Living Room for a quick drink followed by a cocktail masterclass. Ironic, a bunch of bartenders taking a cocktail masterclass! We thoroughly enjoyed taking part and Roberto who looked after us, was absolutely fantastic. First he showed us how to make a cocktail or two and then we moved on to making our own in pairs… There was Mojito Madness, and someone *I will mention no names* managed to turn what started as a Bramble, into a French… we aren’t too sure how that happened either. A well poured B52 or 12 later and we headed over to Neighbourhood for some gin’s before heading home. A great day out with such a great team, looking forward to the next one! We spoke to three of our Event Managers about their time with the company and career development. Here’s what they had to say! TF: I currently study Event Management at UCLan and working at GetStaffed as an Event Manager gives me the real life working experience I need to coincide with my studies. I feel it gives me an edge when it comes to doing my work! NL: I am currently studying Events and Hospitality Management – I’m in my 2nd year now, and I get to incorporate the skills I learn from Get Staffed to run successful events. I fell back into recruitment and the events came with that. SD: I used to work at Baluga with Tom Havlin as my manager and when I was ready to move on from there, I approached Tom about a job. I’m looking forward to developing my career with the company! TF: My favourite part of my job is seeing happy customers who are enjoying themselves and the staff having good time and working well together. I also appreciate the thanks we get at the end of the shift. That gives me the satisfaction that I’ve done my job to the best of my ability and met the client’s expectations! At university my favourite module is Principals of Planning and Practice of Events, what I lean in the lecture can be put into practice at work at what I learn at work can be put into my lectures and into discussions and assignments. NL: I’m working in a job I love; I get to meet new, diverse people every day and work at a range of different events weekly, rather than the same old stuff week in week out. The whole ‘family feel’ of Get Staffed really makes it easy for anybody to fit in in the team. SD: I like working at GetStaffed because of the different places you get to work for example a wedding one day then bass jam the next. I also get to deal with many different clients around the country which is beneficial because of all the contacts that I can make and the variety of jobs I get to do! NL: My greatest achievement is working in a management position when at 18. 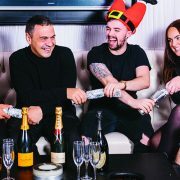 I started off as general bar/floor staff back when the company first started (looking for a bit extra money when I moved to Preston for uni) and now I’m running a team as a Senior Event Manager – I just want to grow further now! TF: The most important thing that I’ve learnt from GetStaffed is the way of managing people effectively and efficiently. Doing this in the right manner whilst at events can keep it running smoothly but if problems do occur it’s easier to manage because you have everything under control and know where everything is up to. This can be passed into my university work especially when working within a group; we all know how testing that can be! That’s a wrap! We love finding out more about our team. 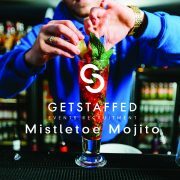 If you’d like to be part of the Get Staffed Family, you can find us on facebook and twitter!